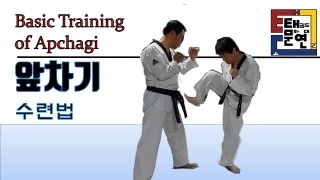 The skills of Taekwondo(Martial Arts) are the essence of fighting techniques, which can be summed up in "temperance'. The immense power of Taekwondo comes not from the strong muscles but from the temperateness of a good and exact pose. It is a never withering power. [2006/09/01] How to use this site.